A lush and fertile expanse in the North West of England, Cheshire is best known for its abundance of small lakes and meres nestled amongst woods and parkland. Its rich Roman history is ever present in the fortress city of Chester, the county capital. The old city walls as well as remnants of a great amphitheatre, baths and other archeological finds are testament to the region’s rich historic past. A great alternative to Manchester and a stone’s throw away from Wales, Cheshire is the ideal location for a tailored treasure hunt or creative Work of Art. If you fancy something a little different, why not try and include the county's famous export, Cheshire cheese, in a Food & Drink event or take to the great outdoors for a day of Country Pursuits! Fill in a quick online enquiry form and see all that Cheshire has to offer using our free venue finding service or chat with our friendly sales team on 0845 006 06 06 about your next away day! Mottram Hall is a premier corporate event venue in the UK. An elegant 18th century Georgian house, the hotel retains many original features combining them with modern facilities. The perfect spot for a team build in Cheshire, it boasts a 270 acre picturesque parkland setting. Looking for an impressive venue for your next team building day in Cheshire? Then look no further than the boutique country house hotel Nunsmere Hall. Built around 1900, the hotel sits in beautiful gardens bordered by a magnificent 60 acre lake and enjoys an inspiring history. 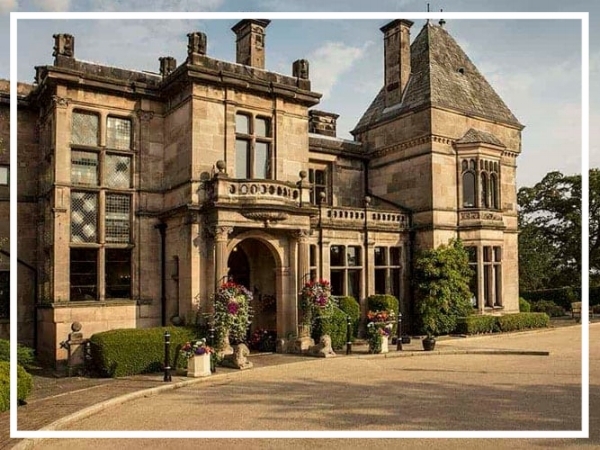 Conveniently located 15 minutes from the M6 and within easy reach of both Chester and Manchester, Rookery Hall Hotel is a great venue for an event in Cheshire. Built in 1816, the hotel has 70 bedrooms, plenty of meeting space, a 2 AA Rosette restaurant and deluxe spa.